New! and just in time for Valentine's Day! 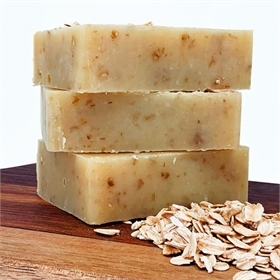 Treat yourself or a friend to this all natural healing soap that is great for your skin! It's an MPC exclusive, handmade by one of our very own "peeps" and includes egg yolks from My Pet Chicken hens' eggs. 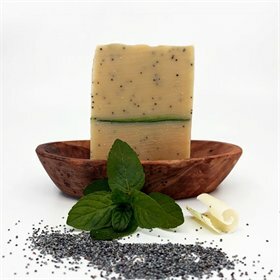 The soap ingredients include: oils of olive, palm & coconut and distilled water, egg yolks, sodium hydroxide, amber fragrance oil, and activated charcoal. The amber fragrance oil is a warm blend of vanilla, patchouli, sandalwood and musk. 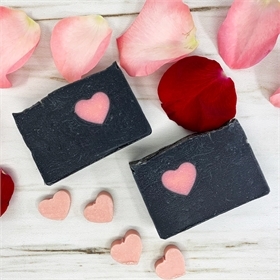 The activated charcoal is known for its skin benefits which include helping balance oily skin and treating acne, as well as soothing cuts, bites and other skin irritations.